Situated in the very centre of the new part of Nessebur the Oasis is set in a beautiful park and has a unique position just above the seashore. The Park Hotel Oasis was lovely. Very clean with rooms being cleaned on a daily basis. Spacious, clean communal areas (with free WiFi in lobby and also worked on upper floor lobbies but not bedrooms). The staff were friendly and helpful with a great grasp of English. The pool and pool bar were clean and well kept and the restaurants served very nice, well priced food. The bedrooms were a good size with lots of storage, and a good sized balcony. We had 2 x twin rooms, all of which, I think overlook the pool and gardens. The suites and larger rooms I believe overlook the street. We had a small fridge / minibar which we used to store our own wine and chocolate (well. it WAS a holiday!) but the prices for the minibar were very reasonable. Overall, a great hotel which we would stay in again. Top marks! I booked this hotel after seeing reports in here and other forums and i have to say i was well impressed!The hotel was apparently given a refurbishment in February of this year,although to be honest it looked OK before the refurbishment,which has included the installation of a lift..that said,what a difference the refurbishment has made.The rooms are spotless and well laid out,with air con[which is free! ]and also free cable/satellite TV.There is a daily maid cleaning service,who do an excellent job and the towels are changed 2-3 times a week.It has a fridge in it with mini bar,which has to be the cheapest mini bar I've ever seen.Plenty of room and ample electric sockets.The hotel itself has 2circular pools,unfortunately they're not very big.One is for the children,but be warned the water is really cold in the main pool,believe it or not the sea is actually warmer.Only down side was that you have to be very quick to get a sunbed,there is a bar side pool.there is 3 restaurants one in the grounds outside and one just inside and also one outside at the main entrance before you go into the hotel,i think that all 3 are served by the same kitchen.We were on a B&B staus and there was an excellent choice there for breakfasts,catering for tastes.All in all,i would definatley recommend this hotel to anyone. Park Oasis was ideal for a family holiday. 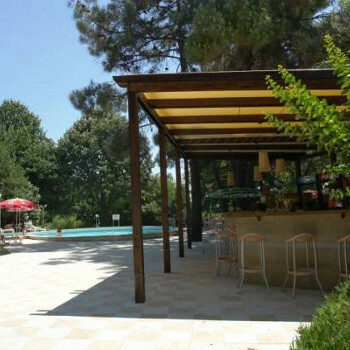 It has it's own garden for children to stroll around, a small play park, a pool with plenty of places to shade. The pool side bar caters for all taste including non-alcoholic cocktails & alcoholic ones, tea, coffee etc. The beach is just at the bottom of a set of steps at the end of the garden, so the hotel is ideally situated. The buffet style breakfast had a choice of cereals, bread, cheese & meats, jam & honey & fruit and a choice of cooked breakfast items. The food was nice, and replenished as requested. The hotel itself was comfortable and very clean. The hotel staff were friendly and polite, particularly the reception and cleaning staff. and the party goers on their way home. The entertainment has scored low, as this was not applicable to this hotel as there was no in house entertainment, unless you count the satellite tv in your room. This hotel is nice and clean - tiled floors throughout. Maid service daily to the rooms, towels changed when they needed to be rather than strictly as per brochure (sometimes daily change). Hotel right near the beach but within it's own grounds so nice and private. Grounds well maintained and pretty. Hotel staff all very pleasant and helpful. Nearby shops were fine for purchasing picnic stuff, plenty of places to eat including hotel bar area. Would recommend this hotel and will probably visit again.